The ZEAL OF THE LORD is being STIRRED UP in this nation! What will it take for our nation to be free from the ongoing attempts to subvert justice and corrupt truth in the land? What will it take for the veils of deception to be pulled back for all to see the true Adversary at work in the courts of heaven? As spirits of darkness continue to wage war in the heavenlies for the heart and soul of our nation, what will break the bonds? I tell you – I feel the ZEAL OF THE LORD IS BEING STIRRED UP! There is a SPIRIT of ZEAL that is being unleashed upon the saints to combat the tide of corruption and wickedness in high places. It is a spirit-empowered, heaven-enforcing, devil-crushing anointing that will break the yokes that are seeking to squeeze the very life out of our nation. Will we recognize this zeal and allow its work to be done? When Jesus fashioned a whip and overturned the tables of the money changers in the Temple, His disciples said it was zeal for His Father’s house that consumed Him (John 2:13-17). This is not the usual come-to-Jesus illustration! His was a demonstration of jealousy and holy anger that burned in His spirit to cleanse the temple. The place that had been set apart for His Father’s glory had become a den of thieves and the Lord’s jealousy was kindled. This was not the time to debate the teachers or appeal to the masses. It was not even the time to pray – but to take action. It was time to TURN THE TABLES and CLEAR THE COURTS! In the coming days, the zeal of the Lord is going to be stirred up, especially in those who lead (Rom 12:8). I believe this is a spiritual endowment, a supernatural grace, and unction of the Lord that will grant leaders the ability to confront the villainy and corruption in the land without fear or regret. It will be divinely ordered and sanctioned by the Lord. As we pray for heaven’s justice to reign upon the earth, I believe we are going to see key leaders consumed by this holy fire that is heaven-sent. When man-made attempts at justice and truth will have failed, their hearts will burn with a passion for righteousness and integrity. They will stand up for truth regardless of the cost. It will be time for the tables to be turned and the house cleared out. By their example, others will follow. This zeal will not look tame! This zeal will not make sense to some, for it will be messy. Imagine what the temple looked like after Jesus went through. Yes, heads will roll and onlookers will be shocked. Yet, IT IS THE ZEAL OF THE LORD WHICH WILL DO THIS. The zeal of the Lord is not a wrath without compassion. It is precisely because of His great compassion that the Lord burns with a holy fire for His Bride (Is 63:15). He is said to stir up this zeal out of His great love for those who follow Him (Is 42:13). Following times of great restraint, the zeal of the Lord comes forth with power and anointing to burn up the enemies of God and those who oppose His Kingdom rule. Even as the earth’s courts look for truth and seek justice, it is those who seek the Truth, the Life, and the Way that will be given this sovereign earnestness, indignation, and longing to see truth prevail (2 Cor 7:10-11). Look for this to come. Watch and pray for those to whom it will be given. It will burn in their hearts and they will not rest until the zeal of the Lord accomplishes its task! I believe we must pray for our president in this regard. I believe he, specifically, is being given this zeal even now. Some will be offended by it. Others will mock it. It will look messy and it will shock those who watch him. Yet, for those who recognize it, the blessing of the Lord will follow this work and pave the way for that which is yet to come. 5 Comments on The ZEAL OF THE LORD is being STIRRED UP in this nation! Yes, Lord, here in South Africa as well!!! Thank you Lord, TAKE OUT THE BAD! AND BRING IN THE GOOD IN AMERICA! Great word! 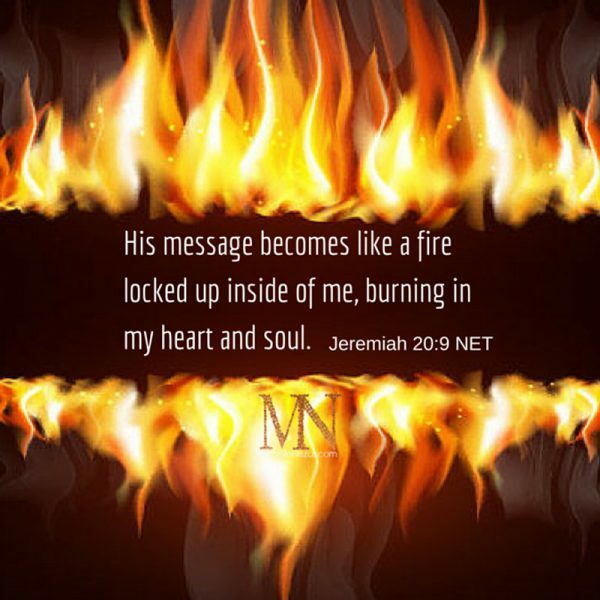 Lord may Your fire burn with great zeal in the belly of Your servants! Amen, I do believe this!